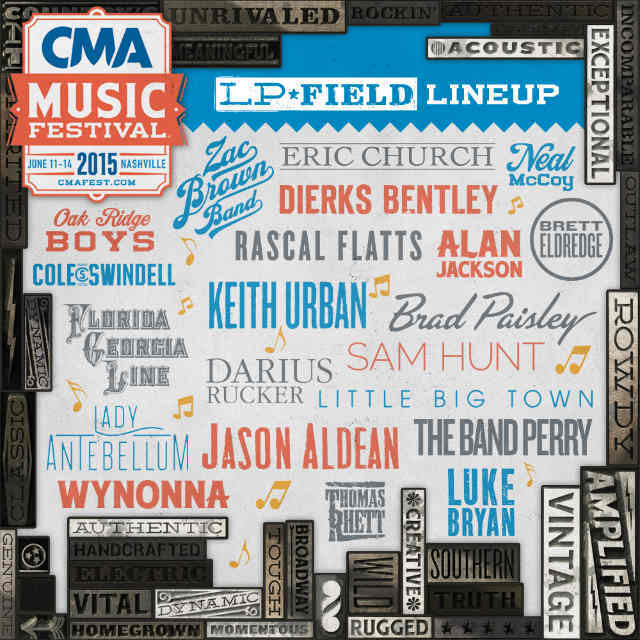 Your Guide to CMA Fest 2015! Every country music lover’s dream is to attend CMA Fest in Nashville! It’s a FOUR DAY event that happens every June and it is so much fun! Here’s this year’s lineup for the main stage, LP Field. It’s full of country music’s biggest stars! We think it’s pretty great. On top of the awesome show happening at LP Field, there are seven FREE stages throughout downtown Nashville. Yes you read that right, SEVEN FREE stages! You can read more about them HERE. You will definitely always be entertained at CMA Fest this year! We’ve also made a playlist to get y’all ready for one of the greatest country music weeks of all time! Click on the image to listen to it on Spotify! Stagecoach is coming up quick and we’re here to tell you EVERYTHING you need to know about one of the best country music festivals in the world! It’s happening on April 23-26, 2015 in sunny Indio, California. Over the years it’s had country music stars like Luke Bryan, Zac Brown Band, Eric Church, George Strait, Alan Jackson, and Carrie Underwood grace its stage. This year’s lineup definitely does not disappoint. In fact, it’s pretty dang awesome. Check it out below. Just look at it! Miranda, Blake, AND Tim as the headliners!? We’re really hoping for a Miranda and Blake duet at some point during the weekend. And wouldn’t it be awesome if Faith Hill made a surprise appearance and sang alongside Tim? We can only dream of that happening! 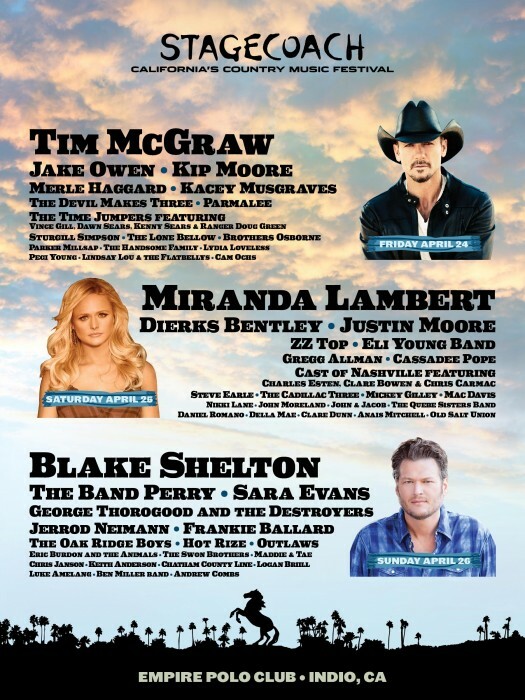 But let’s not forget all of the other super talented country musicians performing at Stagecoach this year. We’re super excited to just take in all the country music talent that each artist brings. One of the most fun parts about any music festival is camping! Stagecoach offers campsites for you and your friends to hang out at all weekend long. It will for sure be a weekend you’ll never forget…or maybe a hard to remember weekend you’ll never forget? You can try your hand at a corn hole or beer pong game. Who knows, you might even find yourself playing a life size Jenga game?! Or if you’re feeling really fancy you can rent out a super swanky house in the California desert for the weekend. You’ll have a clean and comfortable bed to come back to after every night of livin’ it up like you’re country royalty. You can even hang out by the pool every day before the show starts. Looks pretty nice, right? What’s there to do inside the festival? You can also show off your dancing skills with some line dancing. How fun does that look?! 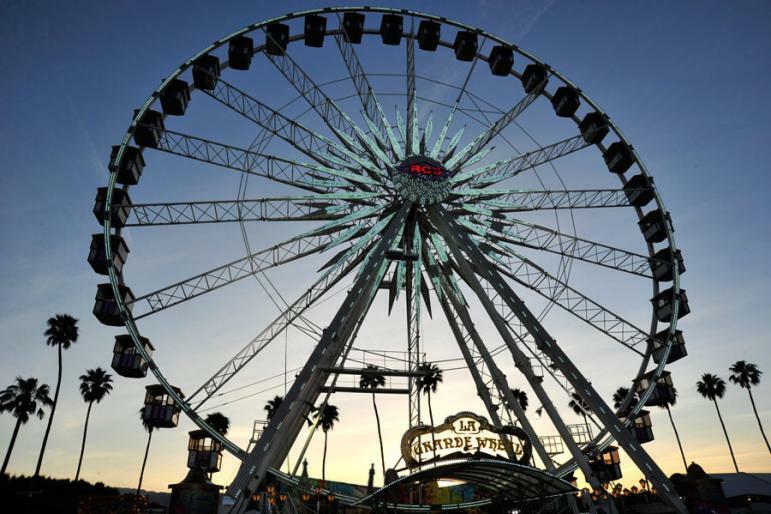 You can take a ride on the La Grande ferris wheel. It’s pretty awesome! Or you can cool off from the desert heat with a delicious and refreshing watermelon slice. Yum! It’s important to wear clothes that are not only cute, but comfortable for you. You’re going to be out in the heat of the desert all day, so dress in something that will keep you cool and comfy for a long amount of time. Our favorite outfit to wear to music festivals includes a tank top, jean shorts, and cowboy boots. It’s a timeless country concert look and we’re always comfortable. 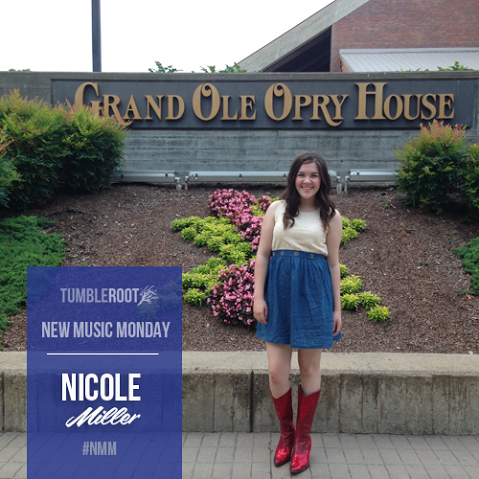 Check out some of TumbleRoot’s Stagecoach outfit ideas below! You can buy these tank tops at TumbleRoot.com. I can’t wait! How do I prepare for it?! We can’t wait either! 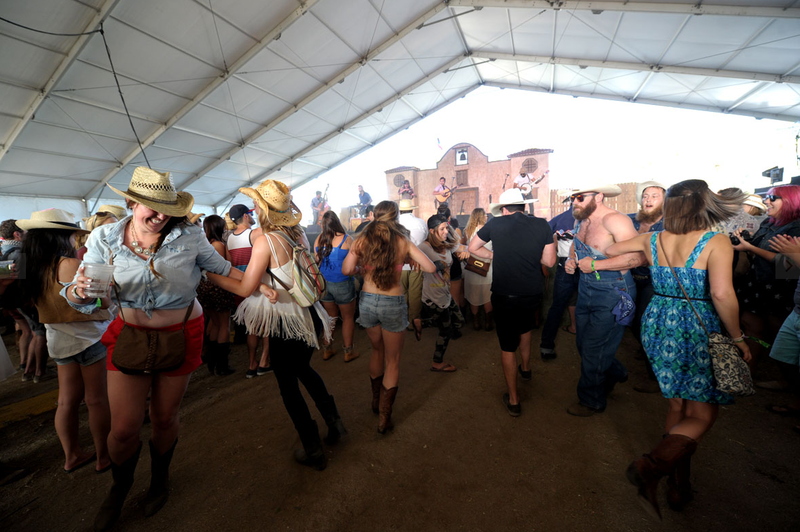 Check out the playlist we made that includes music from every artist performing at Stagecoach. It’ll be sure to hold you over until you’re at the festival! And it gives you a chance to prepare and learn every lyric to every song! Have you been signed by a record label? If so, which one, and when? Not yet, but hopefully it’s on the horizon. What song of yours is a MUST LISTEN? It’s so hard for me to choose! Each one is such a part of me. I would have to say ‘Somebody’s Love’. You will be able to find it on youtube in the next couple of weeks! What do you do for fun? Aside from singing and songwriting, I enjoy playing the piano and guitar. I also love acting. My latest role was “Dorothy Gale” in “The Wizard of Oz”. It was an amazing experience! I also enjoy spending time with my family and friends. What instrument do you wish you could play? The Ukulele. Alllll the wayyy. Where was the coolest venue you’ve ever played? I played an event for Leukemia Lymphoma Society at a place called ‘The Venue’. I had an amazing time. The audience was great. It felt really nice knowing that I was able to share something that I love to do for such a great cause. In your opinion, who has the most beautiful singing voice you’ve ever heard? That’s such a hard question! Ooo! I suppose I would have to say either Eva Cassidy or Idina Menzel… Ohhhh. Or Carrie Underwood. That’s a toughy. Most awkward/embarrassing moment? In the 6th grade I was playing the role of “Belle” in “Beauty & The Beast” in my school play. As I was running off stage I slammed into a wall! I recovered, and left the stage. Right after that I changed my costume backstage, and wiped out coming down the stairs for my next entrance. Ow. What singers/musical artists are you usually compared to? As far as my songwriting goes, I’m honored to say Taylor Swift. As far as my voice goes Sara Bareilles and Lauren Alaina. I’m very grateful to be compared to such amazing artists. 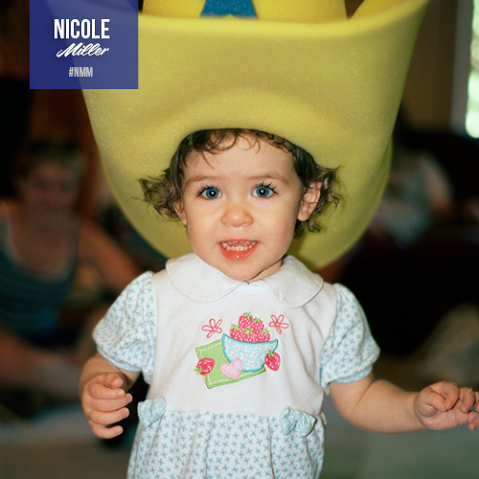 Nicole rockin’ a cowboy hat as a baby! Follow Nicole on Twitter, Instagram, and YouTube! Check out our blog every Monday for new music!